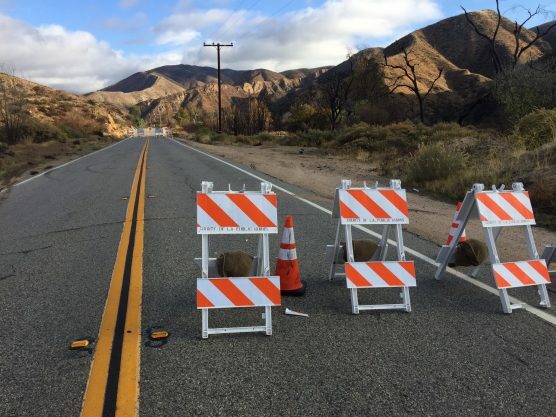 A 22-year-old Palmdale man died on Bouquet Canyon Road early Monday morning in a solo crash believed to be caused by excessive speed, according to the California Highway Patrol’s Newhall Area office. The driver, not named by authorities pending Los Angeles County Medical Examiner-Coroner’s office notification of next of kin, was driving a silver Toyota southbound on Bouquet Canyon Road at a high rate of speed in rainy conditions, CHP Investigating Officer B. Kovacs reported in a news release. The driver failed to negotiate a curve which caused the Toyota to leave the roadway and collide with a dirt embankment. Los Angeles County Fire Department paramedics responded, but the driver died at the scene. The crash caused the closure of northbound Bouquet Canyon Road for approximately three hours. The roadway was reopened at approximately 10 a.m. While excessive speed appears to be a contributing factor for the cause of this fatality, Kovacs and the CHP are conducting a thorough investigation.